Happy Poetry Friday! 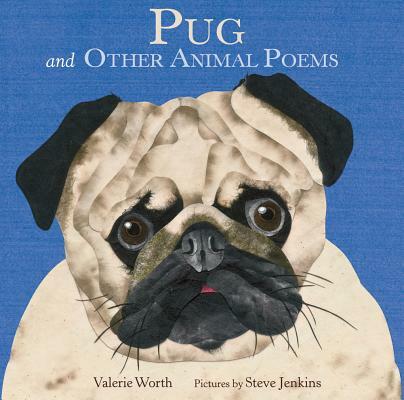 I finally just had a chance to read Pug and Other Animal Poems, by Valerie Worth, illustrated by Steve Jenkins. The poems are, of course, wonderful. I was trying to choose between several fabulous ones to share. 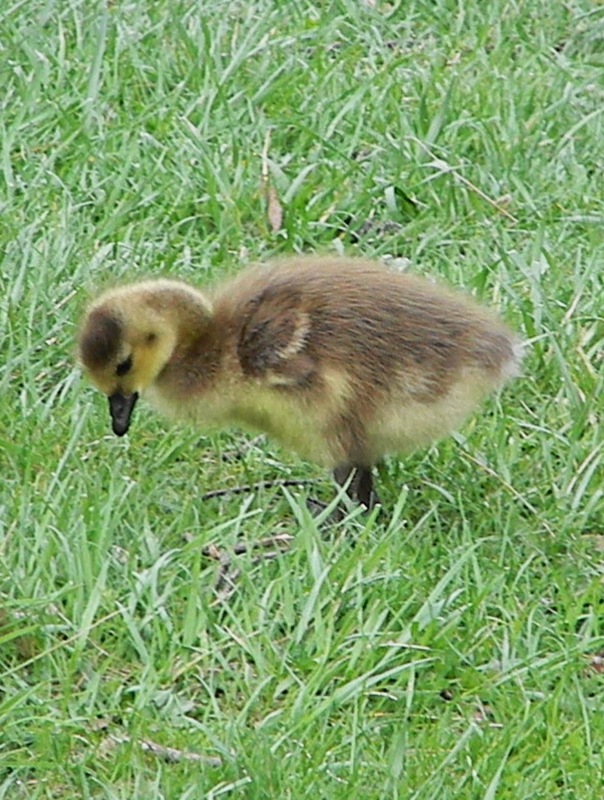 The cries of Canada geese flying above in Minnesota in autumn and spring are one of my very favorite sounds, so I decided to go with this one. Since this has been a long winter with a late spring, I've been hearing this spring music a lot this past month. I adore that cold sky and repeated sounds in here (sky/cries; voices/noisy/rejoicing). It reminds me of the sound diagramming exercise/post I did several years ago. I'm revising a project for an editor right now, and I think I'll put this technique to use as I work on this. Have you ever tried anything like that? The Poetry Friday Roundup is being hosted by the smart and prolific Diane Mayr at Random Noodling--go check it out! 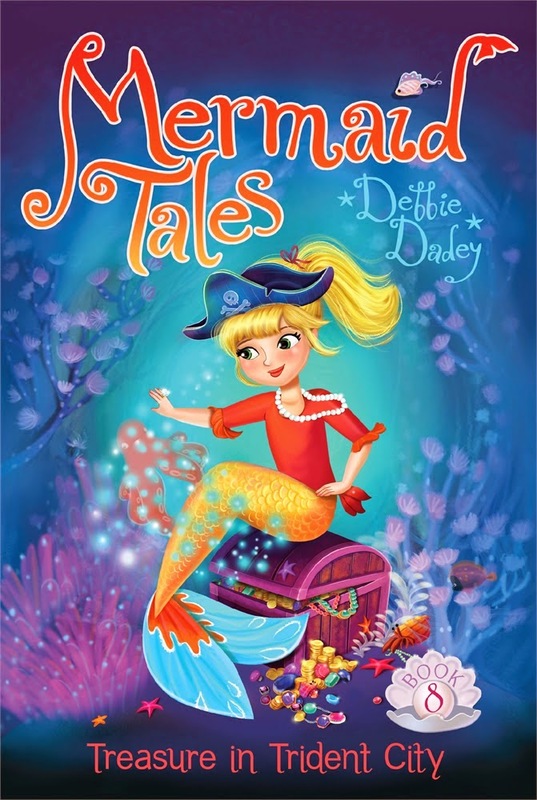 And today, Friday, is your very last chance to enter our current giveaway for Debbie Dadey's Mermaid Tales: Treasure in Trident City. We're taking a day off in honor of today's Memorial Day holiday. 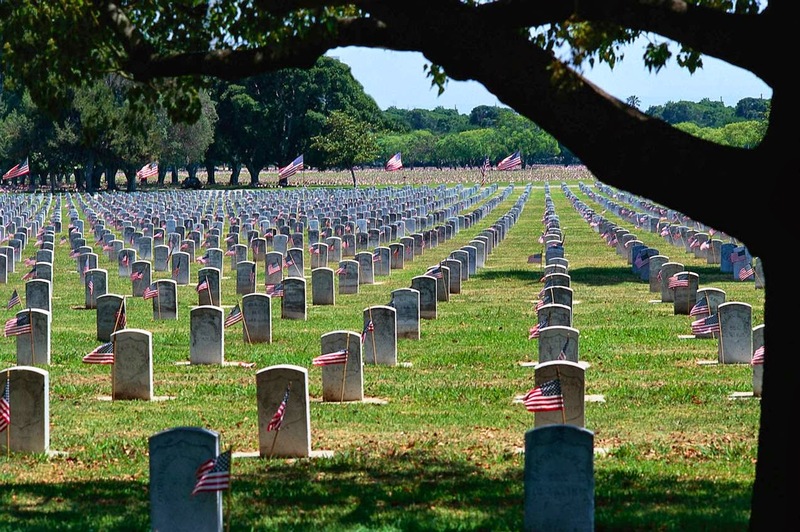 If you'd like to read the Memorial Day "thank you" post I wrote two years ago, you can find it here. Our next post will be Friday, which also happens to be the last day of our current giveaway. If you haven't entered yet, I encourage you to do so soon on this page. 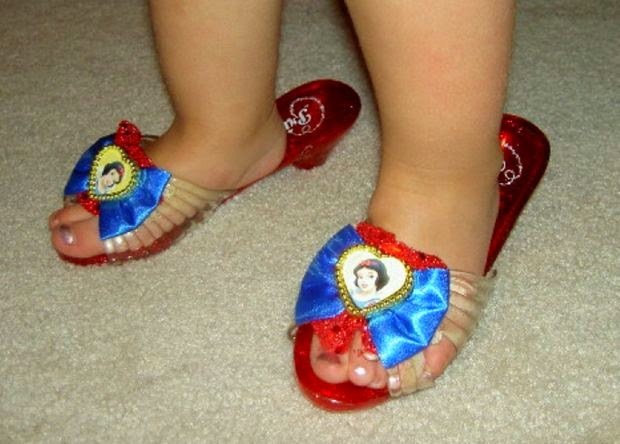 I enjoyed reading Esther’s, Laura’s, and Jill’s posts about their clipping habits. Although I listen to Public Radio in the car and follow the news online and on TV, I rarely read newspapers or magazines. Instead of clipping paper, I keep too many tabs open in my browser. I periodically devote an hour or two to skimming, bookmarking, and adding links to don't-forget-to-read-later lists until I reduce the number to something more manageable. It’s a bit much, isn’t it? I know. I don’t want to miss anything. The Metropolitan Museum of Art has released a vast archive of 400,000 (mostly) hi-resolution digital images online that you can download and use for non-commercial purposes. Make Way for Monarchs: a June 6 research symposium at the Chicago Botanic Garden. I’m registered! Several varieties of milkweed grow in our backyard, I've raised monarchs there for the past four summers, and I plan to do it again this year. Last fall, my husband and I collected milkweed seeds and scattered them in hospitable locations all over the city. I've already started seeds in pots to give away, and I'm revising a monarch manuscript. I can’t wait to soak up everything I can at this meeting--I'm hoping for an on-the-brink-of-disaster recovery. Never, Ever Give Up: Long-distance swimmer Diana Nyad's TED Talk about motivation, sent by my sister Eileen, who knows I need it! These topics might seem random, but they are all parts of a big picture that includes everything from research for current projects to random things I’m curious about. I can never know all there is to know, but I’m always searching. I start by collecting everything I can, trying my darnedest to gather every last snippet of information. Then I narrow it down to what’s usable, eliminate redundancies, and focus, hoping to locate that one magic nugget. There ain’t going to be any answer. There never has been an answer. I may never have The Answer, but I won't stop looking. As I promised on Monday, today's Wednesday Writing Workout is courtesy of the amazingly prolific Debbie Dadey. This exercise sounds deceptively simple. If you give it a try, do let us know how it works for you. And when you're done here, don't forget to enter for a chance to win an autographed copy of Debbie's latest chapter book, Treasure in Trident City (Aladdin), from her Mermaid Tales series. Simply think of your main character and look at his/her feet. What do they look like? Barefoot? Shiny? Polished? Scuffed? Then go up to the legs. Socks? Dirty? Ruffled? Keep going up. Do the knees have scabs on them? Keep going up until you’ve completely visualized your entire character. from the viewpoint of the wrong character. I hope it will help you. Guest TA Interview & Book Giveaway with the Amazing Debbie Dadey! Pearl can't believe it! There is a pirate's treasure near Trident City. If she can find it, she'll be the richest, most famous mermaid ever. Tales of pirate ghosts don't scare Pearl off, but something much bigger just might. 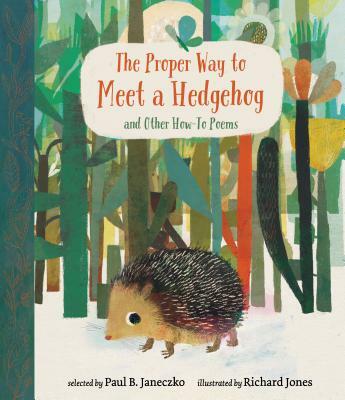 See the end of this post for details on how to enter for a chance to win an autographed copy of this fun title! I also share the name of the winner of our last giveaway. 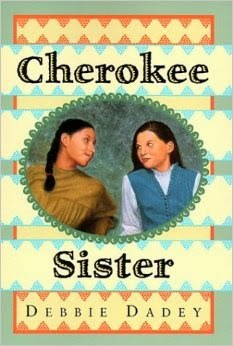 I'm guessing most of our TeachingAuthors' readers are familiar with Debbie's work. She is the award-winning author/co-author of 158 books for children! 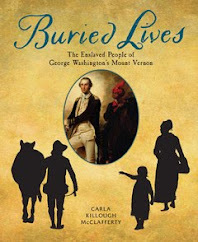 She is perhaps most known for the best-selling Adventures of the Bailey School Kids series (Scholastic) , which she wrote with Marcia Thornton Jones. Debbie and Marcia also co-wrote a writing book for adults, Story Sparkers : A Creativity Guide for Children's Writers (Writer's Digest). A former elementary school teacher and school librarian, Debbie enjoys working with writers of all ages through school visits and writing conferences. She currently divides her time between Bucks County, PA and Sevierville, TN. She has three children, two dogs, and one very smart husband. 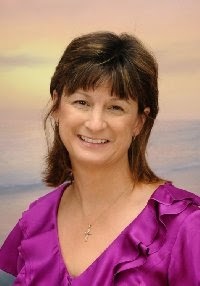 You can learn more about Debbie through her website and follow her via Twitter and Facebook. us. My son was in second grade at the time, and a HUGE fan of the Bailey School Kids. 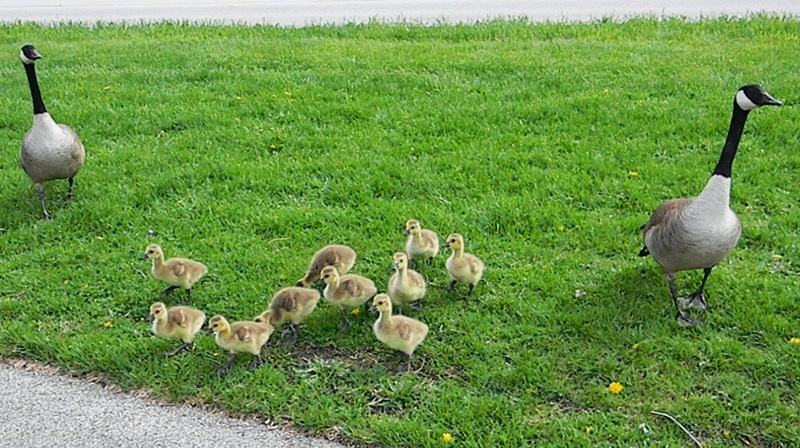 When I told him that Debbie had joined our group, he could hardly believe it. He said, "Wow, Mom, now you're going to be famous!" Well, knowing Debbie didn't make me "famous," but having her in our group definitely made me a "tighter" writer. Our group called Debbie "the slasher" because she was so great at helping us cut extraneous material. We were all disappointed when she moved away. All these years later, I'm happy to be able to still call her my friend. Debbie, would you tell our readers how you became a TeachingAuthor? When I was an elementary school teacher, I taught writing to my students. When I was a PK-12th grade librarian, I taught writing to my students. As an author, it was only natural to continue teaching writing through continuing education classes at universities, school visits, and writing conferences. My website has a writing section that I hope is helpful to writers of all ages. Can you tell us a bit about your Mermaid Tales series and how you came to write it? What was the inspiration behind the newest book in the series, Treasure in Trident City? Are there more Mermaid Tales books in the works? Yes, there are more Mermaid Tales books in the works. Treasure in Trident City (think sunken pirate ship, pirate ghosts, and treasure!) is #8 and I have written 12 so far. It is a series about a school at the bottom of the ocean. The merboys and mermaids have normal school adventures, but also get the opportunity to have exciting interactions with ocean animals. In Treasure in Trident City, Pearl becomes friends with a giant octopus! I was lucky enough that Simon and Schuster approached me about writing it. I’m intrigued that Simon and Schuster approached you. Did they provide the general premise for the series and ask you to come up with the stories? Did they dictate number of books, plot ideas, etc.? Did you already have other series with them? They suggested a series about mermaids and let me run with it, but first they wanted me to create a world for them to live in, so I created a Travel Guide to Trident City which outlined the world. Of course, the one I gave to my editor had character sketches, a map (which the artist redrew for the books), and ideas for books. They did not say how many books they wanted to start with, but I thought four was a great number (since I had four main character) to try and they went for it. This was the first work I've done for Simon and Schuster. I thought it was interesting that they contacted me through my website and I was glad that I had a way on there for them to contact me! It doesn't have my email listed, but it comes directly to my email. Your website highlights you as an author for “reluctant readers.” What is it about your books that appeals to reluctant readers? Do you have any tips for other writers who want to reach this audience? I hope my books are full of action, which I think draws in reluctant readers. I think books for any young reader needs to be kid-oriented and avoid overdosing on description. You also list specific suggestions for parents and teachers to help motivate reluctant readers on your website. Which of these ideas to you think are most effective? There is nothing a parent or teacher can to do encourage reading more than modeling that behavior. Reading aloud to them and turning off the TV to read when your child can see speaks volumes! You’re such a prolific author. Would you share a little about your writing schedule/routine? Do you set writing quotas/goals? Do you have any tricks for generating story/character ideas? I write every day, except Sunday. I begin my day by updating my website, Facebook fan page, and answering email. Then I dive into writing and strive for 3-4 pages per day and most of that is done in the morning. My website, debbiedadey.com, has a writing section that has ‘worksheets’ that I use to help me learn about my character and my stories. I think they are helpful. My friend Marcia Jones and I created them for a book about writing called Story Sparkers, which we are currently turning into an eBook. You do so many school and library visits. Can you share a funny (or interesting) story about one? I’ll never forget the little boy who was crying in the hallway when I visited his school. Why was he crying? It was because he had thought the characters in the Bailey School Kids books (my first series with Marcia Jones) were visiting. When he found out it was just me, he was devastated. To him, the characters were real and he really wanted to meet them! Well, I can't think of a better compliment to your writing than that, Debbie! Thank you so much for taking time out from your busy schedule to visit with us. I hope all the teachers in our audience will visit the Teacher's Page of Debbie's website for book-related activities and other resources. And I hope all our readers check back here on Wednesday, when Debbie shares a favorite writing exercise for our Wednesday Writing Workout. The giveaway ends on May 30. And congratulations to our most recent winner, Elaine Kaplan, who follows us via email. Thanks for being a TeachingAuthors subscriber, Elaine! P.S. If you've never entered a Rafflecopter giveaway, here's info on how to enter a Rafflecopter giveaway and the difference between signing in with Facebook vs. with an email address. Email subscribers: if you received this post via email, you can click on the Rafflecopter link at the end of this message to access the entry form. Thank you, Elizabeth Steinglass, for hosting Poetry Friday today! I had a wonderful poetry teacher, Tony Lee, who taught us about voice. Describing something, as a journalist does, Tony said, is the reporting voice. That voice comes from the lips, the mouth, the throat. Writing about feelings comes from the gut, a lower, truer, sometimes scarier place, he said. This is the deep voice. The deep voice attracts readers. It connects them to your story. Be brave, he told us. Find the feelings. Go there. So why do some blog and FaceBook posts get nine kazillion comments (not mine!) and some get zip? it seems to me that getting your work read (or, more to the point, getting your work read and passed on) is about superficial vs. deep. Just like a book in which the author rips off her shirt and shows us her scars (as Anne Lamott does), FaceBook and blog posts that come from the gut are the ones that resonate. I was at a meeting the other day; each of us had three minutes to talk about anything we wanted. The first two minutes and 30 seconds I talked about some success I had had. In the last 30 seconds, my mouth opened and an embarrassing truth popped out. I said that Robyn Hood Black had very kindly gifted me homemade granola. It was especially touching because Robyn knows I can't eat sugar, so she made it with sugar-free maple syrup. I could actually have it. Delighted, I sat down for lunch, thinking I'd taste just a spoonful, just to see what it was like. 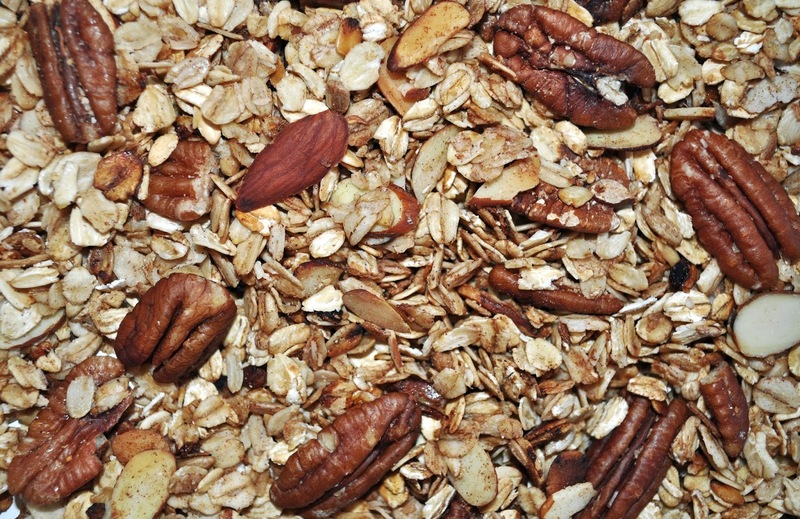 Good granola is dense, so you don't need much. And you and I know that you're supposed to eat two cups of granola over a period of several days--with fresh blueberries and your pinky finger raised, right? Not me... immediately my mouth opened, a vacuum turned on, my brain turned off, and nearly two cups of absolutely delicious granola were gone. Gone! Hers had yummy bits of coconut in it. But...um...I didn't have time to take a picture of hers. As we went around the room sharing, do you think others in the group commented on the nicely packaged pithy wisdom in my first two minutes and thirty seconds? Nope. Nearly ALL of them talked about my granola adventure. It hit a familiar nerve. We've all been there. It was no longer mine...it was all of ours. 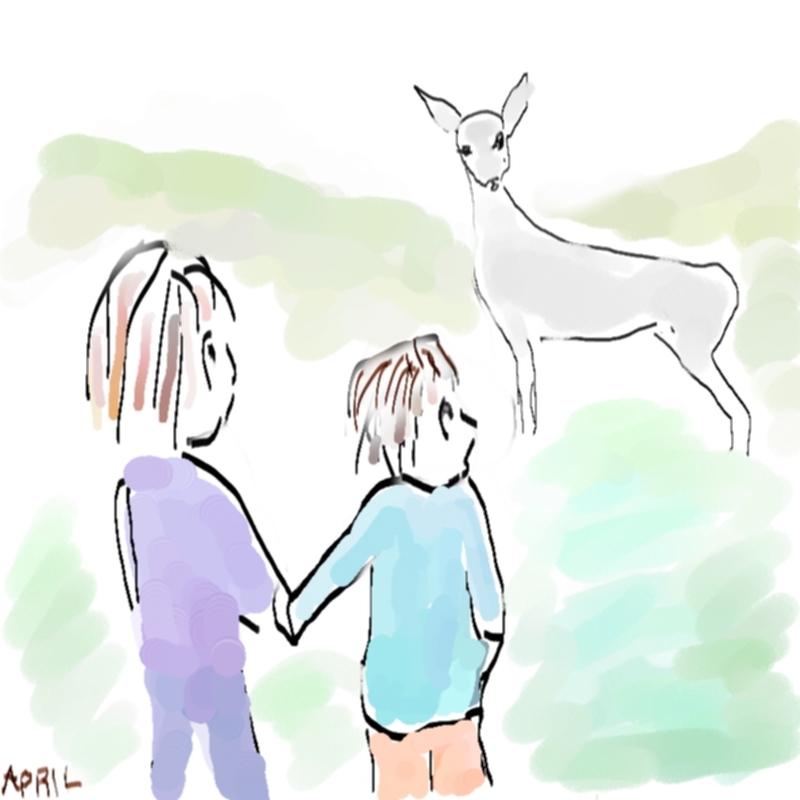 During Poetry Month this year, I had what I called a metaphoraffair--I practiced finding metaphors, posting one each day, both on my website (where, it turned out, the comment mechanism was broken) and on FaceBook and Twitter. The metaphor which drew the most interest was my final post for Poetry Month 2014, written with and about my mother, who is 91 and not doing great. It was hard for me to post; it was true. It was from my gut. The point is, be brave, cut deep beneath the skin, share from the gut, share your humaness. That's all we have. LAST CALL! If you haven't entered our current giveaway, it ends today! To enter, go to Jill Esbaum's post to win your very own autographed copy of Jill's Angry Birds Playground: Rain Forest (National Geographic Books)! Will you be in New York on May 18th? I'll be speaking on the Children's Books Panel of the Seminar on Jewish Story in New York City on Sunday, May 18th. Here's my interview the seminar organizer, Barbara Krasner published on her blog. For an example of a beautifully written post which hits a nerve, read Jama Rattigan's gorgeous and heartfelt Mother's Day post. 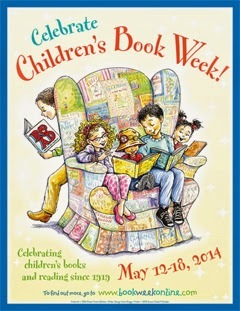 And, last but not least, happy Children's Book Week! Be brave. Go forth and share the very thing that hard to share. posted with love by April Halprin Wayland...but you knew that, right? Happy Monday! My clippings all have to do with this being the start of Children's Book Week. My favorite from the site above? 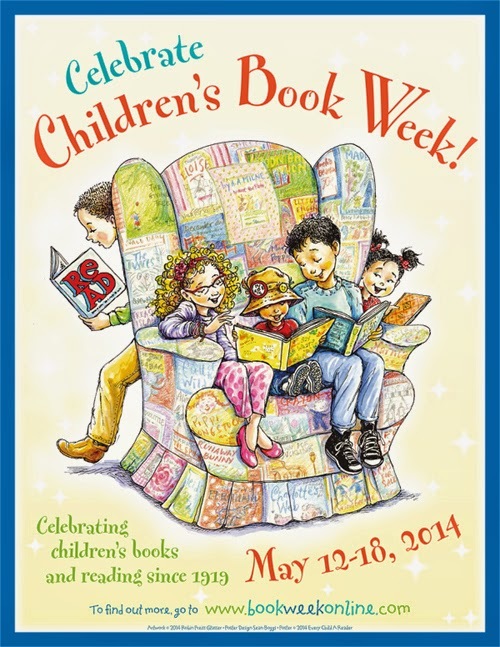 Take a pic of yourself with your favorite children's book, then share it on Twitter using the hashtags #plaea #cbw14. Fun! Also, if you happen to be in a bookstore this week, my newest picture book debuts Thursday (we'll have a book giveaway sometime this fall). 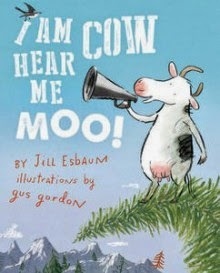 Keep your eyes peeled for I Am Cow, Hear Me Moo! And you still have a few days to enter to win a copy of Angry Birds Playground: Rain Forest (National Geographic). Good luck! 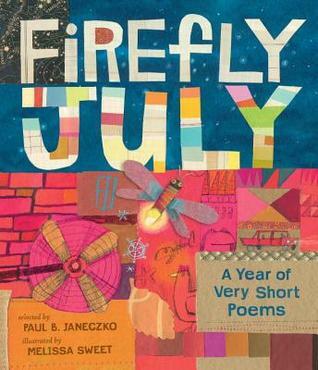 I just read the beautiful book, Firefly July, full of super-short poems (I LOVE super-short poems) celebrating the seasons. 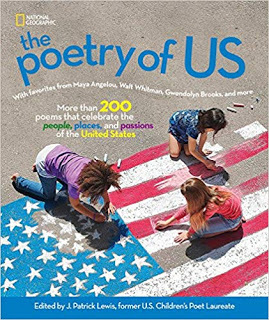 Our own April Halprin Wayland is in there, and Joyce Sidman, and so many other fantastic poets. Here's one of my favorites. I adore both cinquains and fall, so this poem really hits me every time! This is by Adelaide Crapsey, who invented the cinquain form of 2-4-6-8-2 syllables. 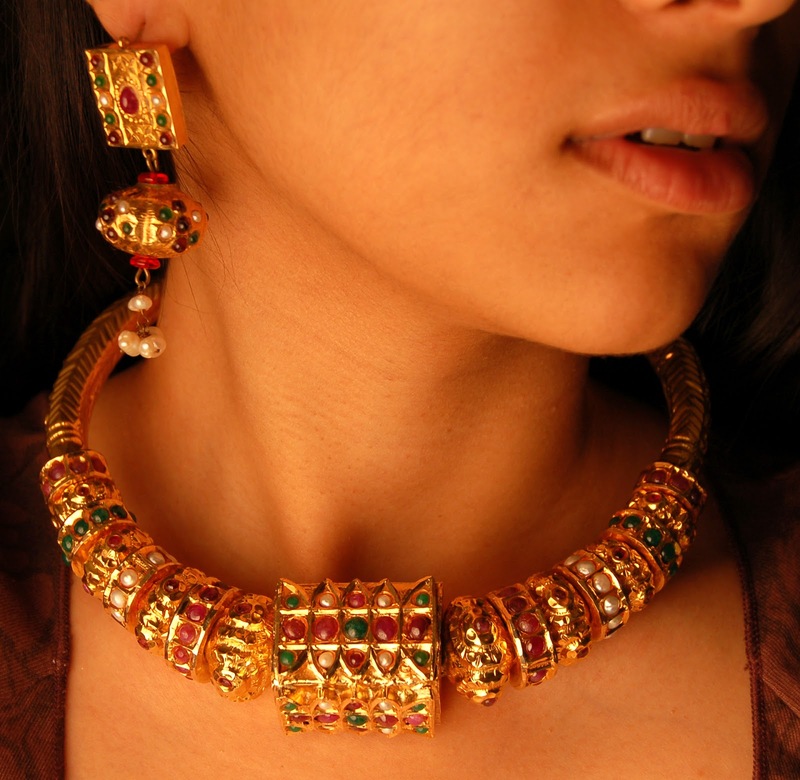 It's Poetry Friday, and the very generous Jama Rattigan at Alphabet Soup has the Roundup today. Head on over and check out all the lovely poems! We're talking about writing clippings here on Teaching Authors, so I will share a few of mine. I collect mostly two kinds of things: 1) bits of text from other books (usually fiction) that I think might make a cool jumping off point for my own poetry or picture books, and 2) articles I tear out of science magazines or bookmark that I think are good topics for assessment nonfiction or poetry passages. 1) "serpentine spaghetti" - highlighted in a book I was reading on my Kindle. That has got to make it into a poem! 2) "We see their flights as perfect forward motion, but nothing could be further from the truth. In truth, every flap is followed by a tuck and a sweep, hasty and high stakes; hot on the heels of every flickering gain in altitude comes a small, heart-thudding drop." - a description of bird flight, also highlighted in a book on Kindle. I love this concept. No idea how I might use it in my writing, but I love it. 3) http://discovermagazine.com/2012/oct/16-things-you-didnt-know-about-cars - Here's an article I read in Discover Magazine. Then I searched for it online and saved it as a bookmark, because my paper files are so overstuffed! 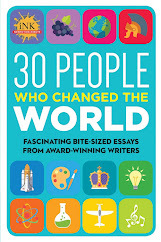 I thought these nifty facts might spark a nonfiction passage for older readers. Happy reading, writing, and clipping! 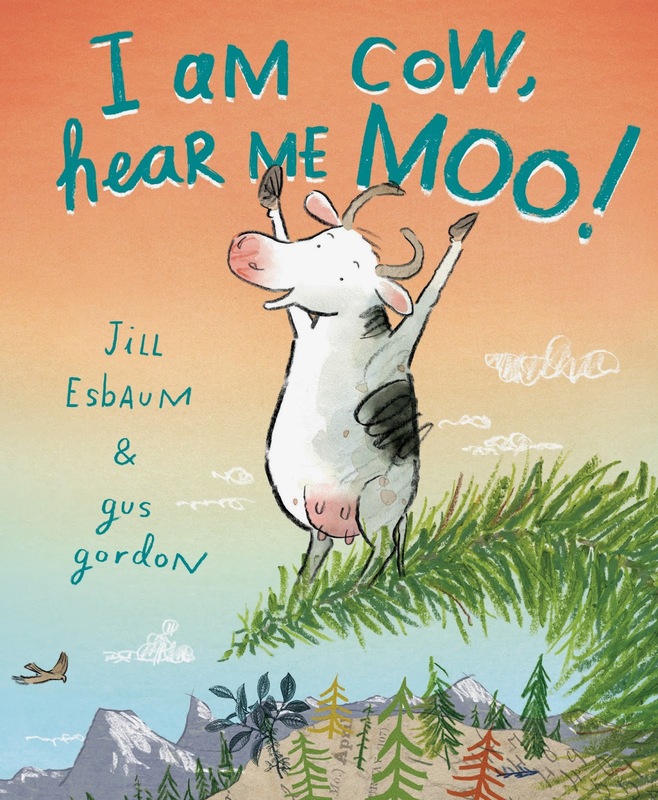 P.S.S: From Carmela: If you haven't entered our current giveaway yet, don't forget to check out Jill Esbaum's post about her most recent publication, Angry Birds Playground: Rain Forest (National Geographic Books), and enter for a chance to win your own autographed copy. 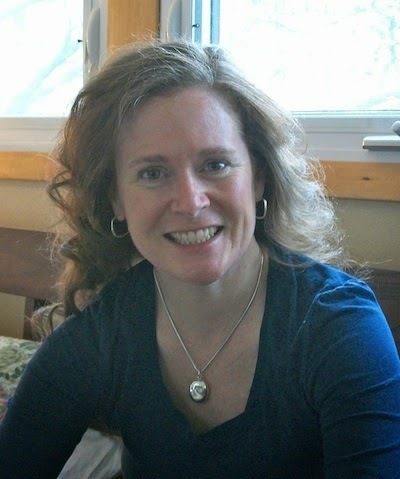 Kate also blogs at Author Of, interviewing fellow authors of books for young readers of all ages. 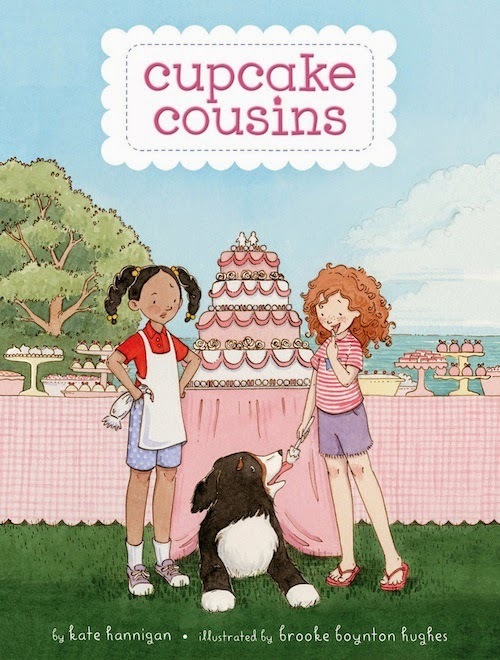 Illustrated by Brooke Boynton Hughes, CUPCAKE COUSINS tells the story of almost-10-year-old cousins Willow and Delia who have been asked to be flower girls and wear bright pink dresses for their aunt’s upcoming wedding. But the cousins would much rather don white aprons and be flour girls, whipping up some culinary magic to share with their entire family. Scrumptious recipes for whoopee pies, peach pancakes and other tasty treats are included. Kate’s next release is in April 2015: THE DETECTIVE’S ASSISTANT (Little, Brown Books for Young Readers), an historical fiction middle grade novel. Kate also co-authored with Karen Duncan the community service book THE GOOD FUN! BOOK (Blue Marlin) which offers 12 months of parties kids can throw to help their communities and the world. Thanks to Kate, for sharing her writer’s recipe for story-building with our TeachingAuthors readers. Her tips are write-on! PS: Reminder from Carmela: If you haven't entered our current giveaway yet, when you're done reading Kate's terrific WWW, be sure to check out Jill Esbaum's post about her most recent publication, Angry Birds Playground: Rain Forest (National Geographic Books), and enter for a chance to win your own autographed copy. Whenever I’m just starting out with an idea, but it’s got no shape or clear direction, I call it a hot mess. It’s a bubbling stew of characters and plot twists and good intentions. But it’s definitely not a story yet. So how do we take a hot mess of a book idea and turn it into an actual manuscript? Lots of writers have ideas and techniques that work: You can find sites that offer up tools for outlining or worksheets or even fancy methods with clever names. But you also might benefit from a simpler, broad-based sketch. You’ll know what works best for you as you try them out. I have a few exercises that help me move from brain hiccups to first drafts, and I’ll share them here. They involve distilling ideas to their essence, literally sketching out the story arcs with little arrows and rainbow curves, and old-school outlining. When I came up with the idea for Cupcake Cousins, I was driving on the highway between Chicago and Western Michigan, where the book is set, and letting my mind wander. But it wasn’t until I had quiet time to put pencil to paper that I could begin to see an actual story take shape. You’ll hear plenty of naysayers who distrust the notion of outlining. “It’s too confining,” they complain. “I like to let my characters take me wherever they’re going,” they declare. Sure, but remember that those are the kind of people who run with scissors, who leave the house without a hat and eat high-cholesterol dinners. Let ’em partake in such risky behavior. Because as they’re enjoying the wind-in-the-hair rush of chasing their unruly characters, you’ll be too busy getting yours lovelies from Point A to Point Z to pay them any notice. And before long, you’ll have a solid first draft of a manuscript while they’re still lost on a literary back road. I’m a Type A person trapped in a Type B body, so you won’t hear me advocating for a rigid outlining regimen. But I will say that distilling, sketching, and outlining saved me and my stories. And I won’t begin a project without first coming up with the wire hanger on which to hang my story. Here’s a simple three-part exercise I do when I want to get my middle-grade story started, moving from hot mess of an idea to tangible first draft in hand. 1. Start with one sentence. Distill your book into one simple sentence. Two cousins are tired of being treated like babies, so they try to prove themselves through amazing feats of baking. This helps you focus in on the essence of your book. And simple language can be repeated: imagine your potential book editor walking down the hall to another cubicle and pitching your one-sentence summary to her neighbor. 2. Sketch out your story arcs. Seriously, grab a paper and pencil and start drawing curvy arcs. What does your main character learn over the long journey of your book? She starts out at Point A as what kind of person? And where is she at the story’s end? What about sub-characters? What do they want? How are they changed? If you’re a visual learner like me, you might benefit from seeing the way these story arcs rise and fall. And if you are setting up a lot of story threads, these sketches can help you make sure when and where you’re going to tie them off. 3. Flesh out your idea with an outline. Going from one-sentence summary to 30,000-word novel is an overwhelming notion. If you’re like me, you might get completely flummoxed at this point and bail on your project entirely. Don’t. Instead, create a simple outline of the book. And start by giving yourself some parameters, like word count. Early middle-grade books tend to hit about the same length. Let’s say you’re shooting for 28,000 words. Divide that total over 10 chapters, and you’re looking at writing 2, 800 words for each chapter. That’s a manageable target, right? Now you have a daily writing goal. But what do you want to say? Before you begin doing the writing, you have to do some heavy lifting – think of it as arranging the furniture. What are the 10 touch points you want to hit on in your book? Build your outline by writing down a quick one- or two-sentence summary of what needs to happen in each chapter as you move from the story’s beginning to end. Chapter 1: Willow stares at the ugly flower girl dress and determines she won’t wear it for the wedding. She and Delia can’t wait to get into the kitchen so they can cook their way out of these dreadful gowns. Chapter 2: Cat the new caterer appears in the kitchen, and she’s intimidating. But Willow and Delia aren’t convinced Cat knows how to make things as good as they do, so they “fix” her lemonade. The results are disastrous. Be flexible. Say you decide your chapters are too long for the pace you’re setting. So instead of 10 chapters of roughly 2,800 words each, you’re going to write about 20 chapters with 1,400 words per chapter and zip right along. 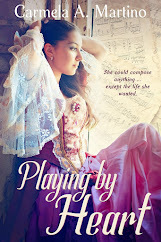 Chapter 1: Willow stares at hideous pink dress and determines she won’t wear it for the wedding. Family heads off for vacation in Michigan with Willow feeling frustrated. Chapter 2: Willow and Delia meet up, extended family too. Aunt Rosie is crazy for the pink dresses while Willow and Delia are plotting NOT to wear them. They race off to the kitchen together, where they believe their true talents can flourish. Chapter 3: Inside the kitchen. The girls hear the screen door open, and they meet the new caterer, Cat. She poses a threat to their plan for cooking their way out of the ugly dresses. them off on the wrong foot with her and ousted from her kitchen. Outline as roadmap. Creating a reliable, functional outline doesn’t have to lock you in. There is still the freedom to let your creative voice take you places. But it does help you stay focused on your destination. While we might enjoy a Sunday drive in the country, we eventually need to get to where we’re going, right? Let the outline serve as your roadmap. Flesh out your ideas even more with each pass. As you refine your outline, flesh out the ideas for each chapter in greater and greater detail, making sure to pace out the tension and conflict as you go. With each pass, your outline details should grow from just a few sentences into a few longer paragraphs. Almost writing itself. When it comes time to sit down and begin writing your manuscript, you’ll might be surprised how clearly focused your story is. The book could almost right itself! Okay, that’s not true, but you are in good shape because of your outline. You can see where your action peaks and where you provide the reader a rest. You can see where you’ve laid in turning points and tension, and where you’ve set up and then resolved the conflict. Outline into manuscript. As you keep refining your outline and begin the writing process that makes the chapters hang together, you’ll see your great idea transform into a real story. And that story will soon take the shape of a solid, working draft. And from there, you can just imagine the book it will soon become. You’re off and running! 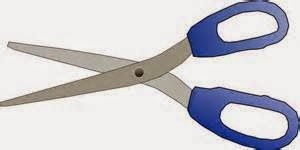 But not with scissors; you’re too smart for that. I confess: I clip articles almost daily from printed newspapers and magazines delivered to my address. Article-clipping is a Family Thing. My mother clipped. My sister still clips. My nieces and cousins do too. Recipes. Advice columns. Interviews. Book reviews. Movie write-ups. Funny cartoons. Touching quotes. Oh, and death notices and marriage announcements. I and my family’s current generation of women use – with great optimism, the U.S. Mails to share our clippings. The younger generation sends link-bearing emails or attached scans. For obvious reasons, many of the articles my family sends on to me pertain to writing, children's books and authors. Those clippings have a pile all their own, a pile I, the Happy Clipper add to often. I call it My Writer’s Pile and it’s totally separate from my Story Ideas Pile. Sometimes when I’m clipping an article, or truthfully, unevenly tearing out a section of a page, I have no idea WHY. Sometimes, though, I know the recipient instantly– a fellow writer, a former student, a school class I’m about to visit, or even my TeachingAuthors readers. 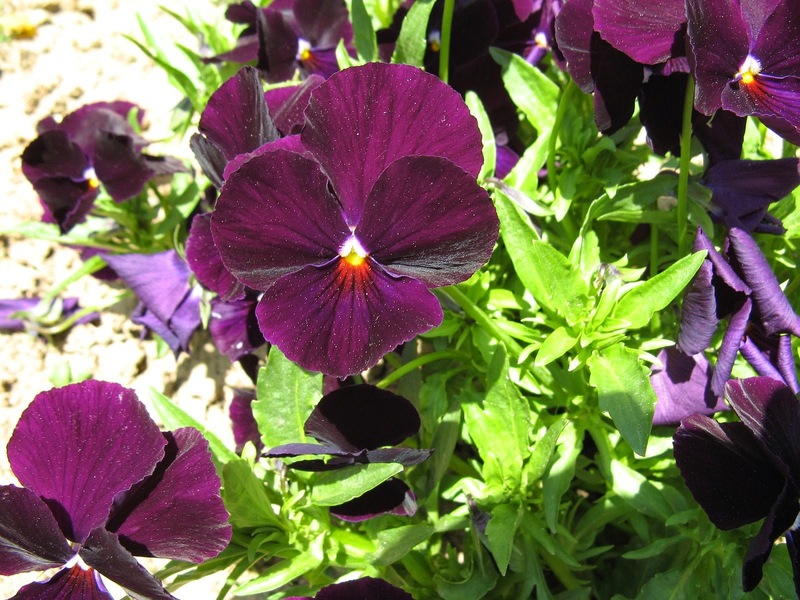 Thinking Spring, I titled this post “A Writer's Potpourri of Clippings." I often liken the writing process and that of growing a story (as well as a career) to the process inherent in maintaining a compost pile and its clippings. Maybe magic of sorts is going on within My Writer’s Pile and I don’t even know it! Toss the following three clippings into your Writer’s (Compost) Pile and see what happens. “Plant-based baby names for girls overall are on the rise, and 10 previously low-profile botanicals – Lily, Violet, Willow, Hazel, Ivy, Olive, Dahlia, Juniper and Azalea – have risen rapidly. These 10 fast-rising names were given to a total of 19,500 baby girls in 2012 – more babies than received the No. 3 girls’ name, Isabella (18,900), according to data from the Social Security Administration." I sent the original of this article to Cousin Jane in New Jersey whose first-born granddaughter is named Violet – after - I scanned and filed the article on my computer’s Hard Drive. FYI: apparently there’s no parallel botanical trend in naming boys although the nature name “Canyon” has had recent traction (No. 1,462). Naming characters is any writer’s job! 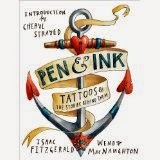 This Fall Bloomsbury USA releases the two bloggers’ book PEN & INK: TATTOOS AND THE STORIES BEHIND THEM. I haven’t used the idea or passed it on – ’til now. Or just what tattoo you might choose, if you haven’t already, and you want to break loose? A character’s tattoos are a great way to come at knowing your Hero and knowing your Villain. Another two-partner idea – this time by Jenny Heid and Aaron Nieradka: scrapbooking with more layers and textures. 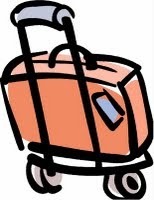 Another blog: Everyday Is a Holiday. And another book: MIXED MEDIA MASTERPIECES WITH JENNY & AARON (Page Street). When speaking to Young Authors, I advocate Journaling every chance I get. I liked the fun idea this article suggested of adding Ephemera – such as handwritten letters, maps, vintage photos, fabric, movie and concert tickets, old game pieces, you-name-it. I bet kids would like it too! And instantly they’d SEE the value of concrete details. I also think it’s yet another way for writers, young and old, to come at knowing their characters – and that’s why I scanned this article and emailed it to two of my writers. I do actually read newspapers, journals and magazines online daily and find myself more and more (sigh) cutting-and-pasting, copying and/or scanning and emailing myself links to fascinating articles. I hate to waste an interesting idea! Fibs and "Signs of Spring"
For our Fifth Anniversary Blogiversary Book Bundle Giveaway, we gave bundles of 5 books each to 5 winners. We are thrilled with our readers and tickled to read all of your smart, funny, thoughtful comments. Thank you for inspiring us! If you haven't yet, you can still enter for a chance to win a copy of Jill's Angry Birds Playground: Rain Forest. And now it's May, which so far looks a lot like April . . .
. . . except in my neighbor's yard! Be sure to check out the We Need Diverse Books Campaign. Use the hashtag ‪#‎WeNeedDiverseBooks on Twitter and/or find it on Facebook. Katya hosts today's Poetry Friday Roundup at Write. Sketch. Repeat. Enjoy!